St. Clair Lee, American musician (Hues Corporation) died he was , 66. St. Clair Lee was an American R&B vocalist with the band The Hues Corporation, which had a top ten record on the R&B and pop music charts called “Rock The Boat” died he was , 66.. The single went to number one in 1974 and sold over two million copies. Lee was born Bernard St. Clair Lee Calhoun Henderson in San Francisco, California. When he was born, someone at the hospital put both family names into his full name title and mistakenly wrote “St. Clair” instead of Sinclair – resulting in a long name for his birth record. When he was a young man, he found out that “Sinclair” means “Big Bear” and that the Indian side of his family were Blackfoot that had migrated down from Canada to Oklahoma. It was this discovery that led him to decide to wear his trademark headband. He attended Santa Monica College. The Hues Corporation was formed in 1969, in Santa Monica and began playing frequently in Palm Springs and Las Vegas. In Vegas, Lee worked at Circus Circus. During this time, he worked on the same stages with Frank Sinatra, Milton Berle, Nancy Sinatra and Glen Campbell. When the band secured a record deal, Lee started to record and tour with the band regularly. Before their first big hit, they also contributed to the soundtrack of the blacksploitation film Blackula. The success of The Hues Corporation is greatly tied to the musicianship Lee worked with on their biggest selling album Freedom For The Stallion. In 1973, he was in the studio with some of RCA‘s best talent, including: Jim Gordon, Hal Blaine, and Dennis Budimir, as well as Larry Carlton, Joe Sample, and Wilton Felder of The Crusaders – and many others. Touring with the band took Lee to Europe, South America, The Far East and Australia. He performed for Queen Elizabeth at the same event with Dionne Warwick. 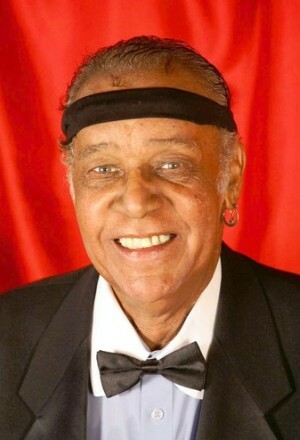 He performed with The Jackson 5 in Radio City Music Hall. Lee also shared bills with The Commodores, The Spinners, Dolly Parton and with Dinah Shore many times on her TV program. Lee could perform soul, jazz, and R&B – as the group was very versatile. After a second moderate success (Rockin’ Soul) with the band and a few more records, The Hues Corporation disbanded in 1978 and then reformed in later years. Lee continued to tour and perform with the band up until his death. The song Rock the Boat, by The Hues Corporation, has been included on hundreds of soundtracks and compilation records since the early 1990s.